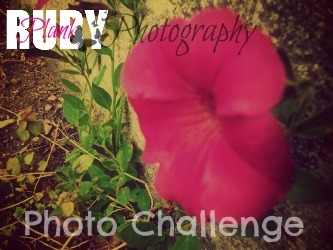 Hosting a photo challenge! Enter! YAY! thanks everybody, remember, I also have a photography blog, so I'd also like to invite you to follow that to. Golden in the suns light. Rising high higher and highest. As it pushes and pulls the tides. Awed by the moons light. They still hold a place in my heart. A large golden jelly swims. His bell so big and so golden. The beauty is somewhat frightening. As a king his crown. That is the ditty of the LIONS MAIN JELLYFISH. Woes sting is not like the others. Is so powerful and can kill you. It can be so invisible. With eyes and four strings of sting. It douse not look like a wasp. The Monarch’s Life Part 1. Now that all the eggs were laid, each egg on a different leaf, the old female butterfly fell down apon the soft grass dead. She lived a long life (at least to most insects as some who live for a year in their eggs, only live for one night after hatching), her year of life had been full of adventre and danger as she migrated to mexico almost as fall began to come. Now it was summer and and her job is complete. She is now fluttering about in Heaven, drinking the sweetest nectar from the prettiest flowers, and dancing about with all the other butterfly folk. Her caterpillars would make the next genartation of monarch butterflys----- If they survived. This is the story of the life of one of thouse eggs she laid, the life of Stripe. Look on the bottom of a milkweed leaf, do you see that tiny, yellowish-white dot? That’s a caterpillar egg, a monarch caterpillar egg, and not just any caterpillar egg, Stripe’s egg. So, in August, in a yellow field in Indiana, an egg wiggled and craked open. Out imerged a tiny-little caterpillar, or, as some call it, a larva. The caterpillar was green with a black head and in the front spikes for legs that would grab hold to things, and in the back were round lumps for feet. This is Stripe Plexippus. I don’t know about the other 399 of his brothers and sisters, but Stripe was by far the best of them all. He was about twenty-fith of an inch long so a nickle was a giant compared to him! But, he would get bigger and bigger and soon bigger then a nickle, then he would be the giant! As soon as Stripe was hatched, he began to eat the egg shell from which he hatched. After an hour or two, he walked up to a place near the steam, making no sound at all but I’d be lieing if I said that even the most accurate and best-at-hearing animal could not hear him because I know a barn owl, who can her a mouse’s heart beat in three feet of snow and a spider walk across the wall, could probably hear Stripe’s foot steps. With his sissor-like teeth, he began to cut a hole out of the leaf to eat. Stripe kept chewing and chewing the leaf, and the hole kept getting bigger and bigger that soon he needed to head to another leaf. More then half of his brothers and sisters didn’t make it. They were ethir drowned in the milk stuff or eaten by assasin bugs and other milk-weed bugs, or just never made it out of they’re egg. “Dianaidae” is a group of butterflys called “Milk-weed butterflies.” The monarch is called “Danaus Plexippus.” Stripe’s last name is Plexippus. Stripe continued to eat the milkweed till after three days, he was bigger and his skin about to burst. He was going to molt. His skin is tough and water-proof, it is called cuticle. Like all invertebrates, Stripe has no spine, no skull, not a bone in his soft body. He went to shelter under a leaf and pushed against is old skin, so his new one would show. It split open along his back, he continued to push and push. He stoped every-now-and-then to rest. The prosess took three hours but he had a new skin that had faint yellow, white, and black stripes. After shedding that cumpely old skin, Stripe began to eat the skin. His skin was full of protines that he would need as he growed. Every three or four days Stripe would molt. His skin was more beautiful every time. Soon he was a big, plump, striped caterpillar. Soon Stripe ate a wole milkweed plant so he had to move to another one. He and other milk-weed eating incests, bite the leaf’s vains before eating because the sap stuff which is called latex, as I said contains poisen, so by cutting the vains the latex doesn’t flow and they can eat the milk-weed without taking in lots of the latex. Stripe was climbing to another leaf when he saw a sad sight, a fellow catterpillar was being eaten by an big assasin bug. Stripe just moved on and pretended not to notice. Now he was full grown. A caterpillar will molt four times before becoming a chrysalis or pupa. In just two weeks Stripe was two inches and though he weighed as much as a penney, he weighed 2,500 times more then when he first hatched. Suddenly, something picked the leaf he was on and put him into some weird cage thing. It was a bug hut. A human put him there. A safe place for his 5th and final molt. He bagan to feel a strange feeling that made him know it was time. He went to the roof of the hut and spun a silk mat by waveing his head from side to side. The silk stuff came from a gland beneath his mouth. He than hooked his rear legs to the silk and hung upside down in the shape of a J. He began to wiggle and jiggle and his skin split open from it‘s head down to the back. Her skin was not like it should be. It was lime-green and yellow and squshy. He finneshed molting and the old skin clung to the silk mat. But it was not over. The hardest part was yet to come. He had a black stalked called a cremaster which is coverd with litte microscopic hooks. He had to twist his body so the stuff would be hooked to the silk mat. He began to wiggle and wiggle (I’ve seen this before in real life it is funny). In a split second she would un hook himself from the mat then re-hook. If he failed, he would not become a butterfly. … SUCCSES! He had hooked the cremaster and he now just had to wait to hraden into a crysalas. When he hardend, he was like a piece of jewlrey. He was jade green with little speacks of glistening gold. After 15 days, the chrysalis became clear. It looked black but it was clear. The orange and black stripped wings could be seen, he was about to hatch. When Striped hatched, the crickets were chirping and Stripe, hanging on to the chrysalis shell, was basking in the sun pumping blood from his now fat abdomen into his short, shriveled, wings. As he pumped blood, his wings got bigger and falter and his abdomen skinnier. He began curling and uncurling his proboscis, his drinking tube, that was in two halves. He had to press them together and make them one. After two hours his soft wings were stronger. He began to open and close his bright wings. Soon he could fly. A little girl, the one keeping him, released him into the outdoors. He scenced flowers. He flew to a sweet lilac with his new, 4 inch long wings and uncurled his long, thin black proboscis. Stripe had big eyes with dark blue swirl, long feelers, a fuzzy black and white spotted head, and beautiful oarnge wings with thin black stripes and white spots along the edges (females have thick black stripes). He was very handsome and was very good with the ladies! He was about to start a dangerous journey, a journey every butterfly must take, the jorney every monarch must take, the journey of a monarch butterfly. Stripe saw new things. As a caterpiller, he had six peuny eyes that hardly did him any good. Now he was an adult with blue-black eyes with a swirl the makes him look hymotized. He saw the milk-weed and the trees, flowers and children playing, and even a lady monarch who ignored him. Stripe glided over the field. It was September. Time for him to start migrating. The milk-weed was beginning to yellow and die. They no longer had sweet pink flowers but rough pods that carried fluffy and feathery fluffs each with a dark milk-weed seed attached. There were hundreds in each pod. These pods woud open and the wind will carry the fluff-toped seeds away like a dandalion. During WWII, school children across America collected a total of 25 million pounds of milk-weed pods. The fluff inside were light and used to fill navey life preservers. As Stripe flew, he felt the cold wind against his fuzzy cheek and knew he would have to get to Mexico fast. As Stripe fleww he saw a garden of zinnias and New England asters, marigolds and butterfly weed, cone flowers and wave patunas, and sunflowers with a little black-capped chikide on one picking and eating the seeds from the giant flower. There were other monarchs a well and even a morning cloak butterfly with brown wings and yellow and blue edges. A good place to rest a wheil after flying five miles. Stripe had been sleeping in a tree when he felt the morning sun shining on him. There was a chilly brezze and the smell of autum was strong. Already the leaves began to change from green to red, brown, yellow, and oarnge. Stripe had to warm his wings before he could fly. His wings had to be up to fifty-five dagrees Fahrenheit. Stripe sperad his wings out in the warm sunlight. Soon he could fly. Stripe was now hungery so ha flew to a bunch of cosmos and drank the nectar. Suddenly he heard a nose behind him turning around he saw a simese cat about to ponce. Just a she lungged twards Stripe, he quickly flapped his wings and flew up before the cats claws could snag him and tear his delicate wings that were made with a million tiny protective scales. Stripe continued his journey south to Mexico. If he didn’t migrate, he would die at the first frost. His little pin-head sized “brain” or ganglion, told him to fly south. One day, Stripe felt warm air around him. This was a thermal, warm air from the ground. Stripe flew higher and higher and let the warm air carry he half a mile south. These thermals saved precious enegey because Stripe hardly had to flap a wing. At the end of the thermal, Stripe flew down and started using wing power again. After an hour, he felt another, bigger, thermal and began to fly higher up with the clouds and glide across the sky. Little children playing games and collecting fallin leaves could see hime. They shouted “Look! A butterfly!” and laughed and tried to jump up and catch Stripe, but he was too high for them. As Stripe flew, the landscape changed. She croosed a 10 mile lake and then felt famished. Spying some flowers, he flew down to sip sweet nectar. After fling 90 miles, Stripe was tired and, with other monarchs, slept on a “Blue” pine-tree. The next morning he found a butterfly paridise, a garden full of flowers and no cats or mice, bad birds, or bad bugs. Perfect. Flying to flower after flower, Stripe drank till satisfied and then flew on with his new friends, the other monarchs. It takes five monarchs to weigh a penny and wind can turn a butterfly of coarse so when theres wind, no flying. That’s how Stripe’s day started out. He just fluttered about and hid in a dry brown leaf for warmth. Little did Stripe know that a butterfly next to him was actually his little brother, Bibble, who was young and care-free and payed litte attention to danger. He was adventually eaten by a cat because of his carlessness. Soon the wind died down and Stripe was lucky to ride another thermal takeing him all the way to another state! He pased houses and forest lakes and other monarchs. When the wind came again, Stripe had to fly low. He was weak and decided it was time for some rest. After landing on a patch of golden-rod with a few other monarchs, he began to drink. The night was cold and windy. Monarchs held tight to the flowers so the wind would not blow them away, and tried to sleep. In the afternoon of the next day, as Stripe sored across fields and plains and gardens, lakes and rivers, he saw a beautiful red-tailed hawk with feirce eyes. The hawk’s long wings flapping created a thermal. Sripe flew over the hawk and crossed a few miles of land. Now Stripe was hungery. Below him was a garden with lots of other beautiful monarchs dancing around. But as Stripe began to sip necter from a cone flower, something caught him. It was long and thin and full of little holes. It was like a spider’s web but it was not sticky or invisible. Something took him out of this thing and put a white tag on his wing. The tag had an address and a number. Stripe saw many monarchs being captured in these weird net-like things. Net! That’s what it was a net! A butterfly net. The tag had other information to and the taggers hoped that’s somebody would find the butterflys and send them information. Stripe was gently relised. Stripe traveled for many miles. He escaped children triing to capture him, cats, and once a playful owl who was not planning to eat the butterfly, just play. He had to delay his jorney for a day due to the pitter-patter of rain and the loud booms of thunder and the flash or white lightning. He was now in Texas. Almost to Mexico. As he was flying, he herd a huge rushing sound. Stripe was in a panic and fluttered up. He just missed the fate of another monarch, smashing into the front window of a car. A photo of my eye. I edited it though. these trees are so pretty! mommy and daddy blue birds! these lilacs look like they are glowing!